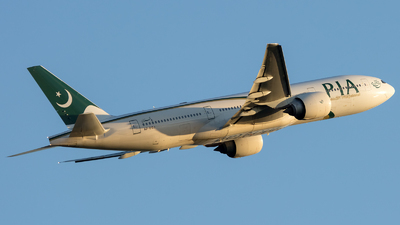 Note: AP-BGJ on approach into Heathrow (LHR/EGLL) during Golden Hour. 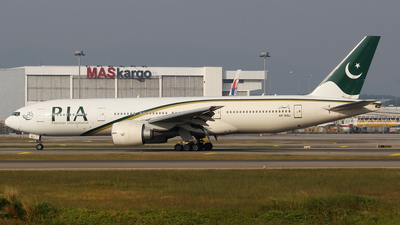 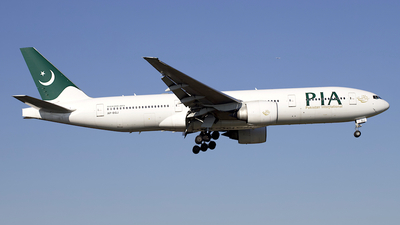 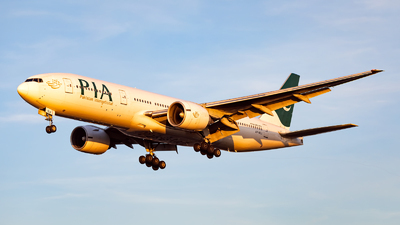 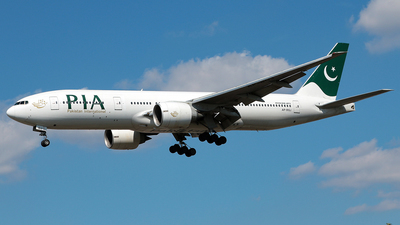 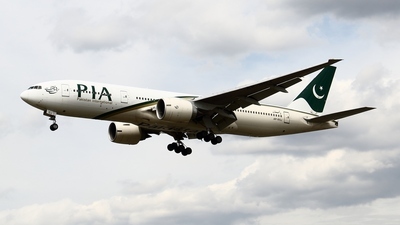 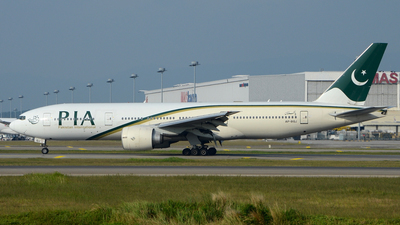 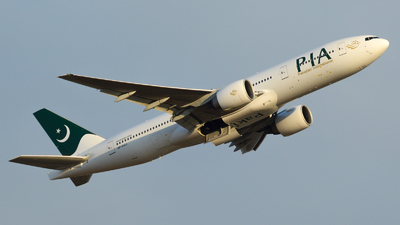 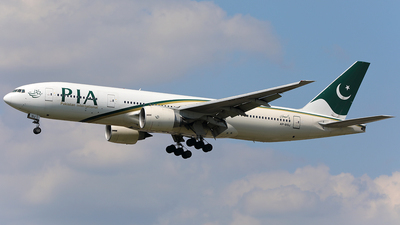 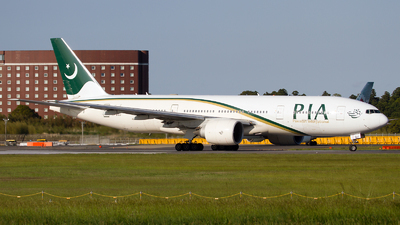 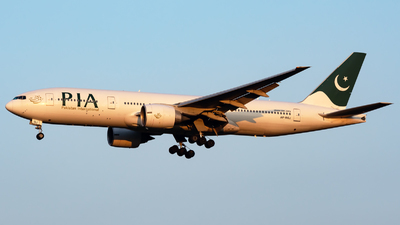 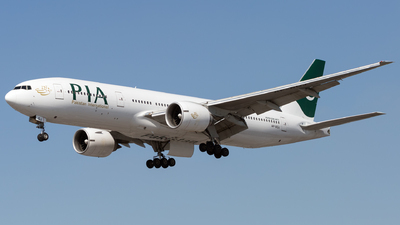 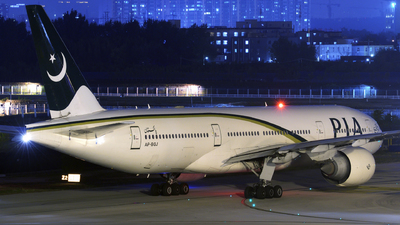 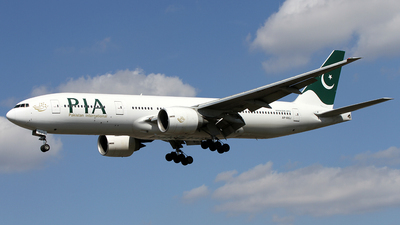 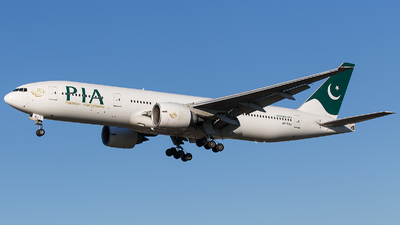 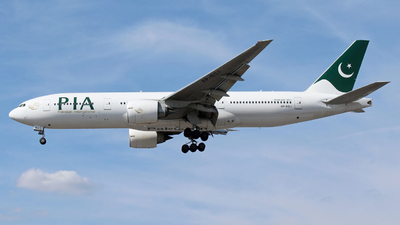 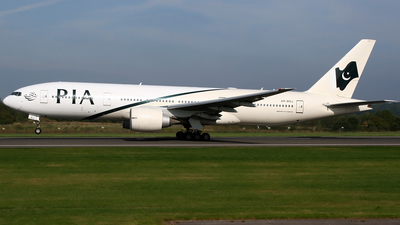 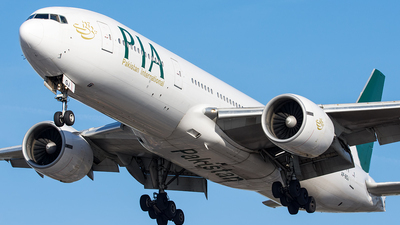 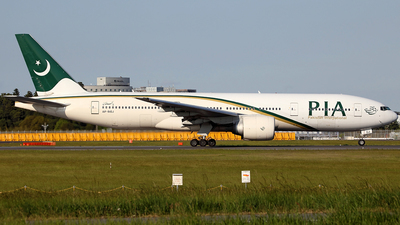 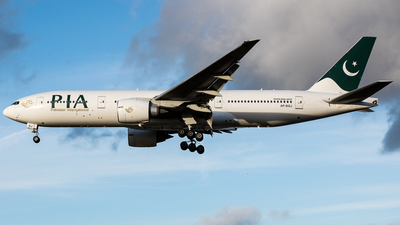 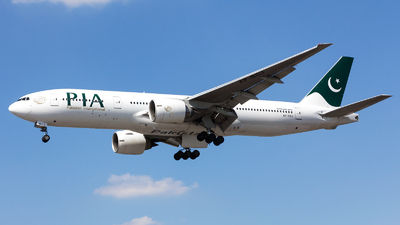 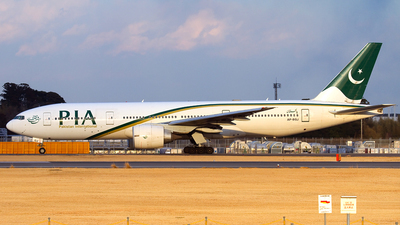 Odd PIA livery, I believe there are only a couple like this in the fleet. 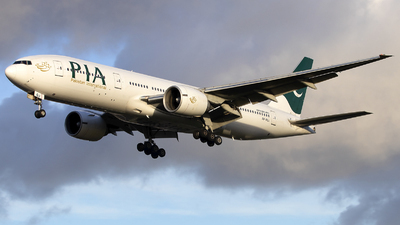 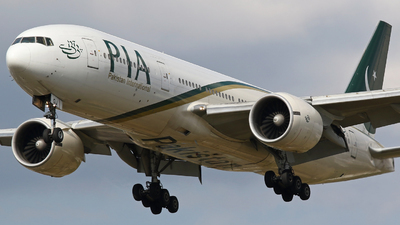 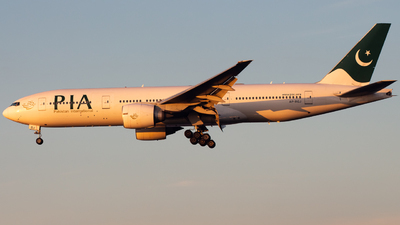 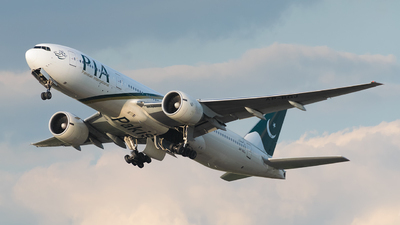 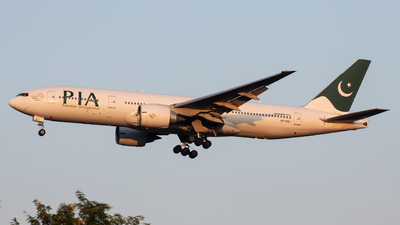 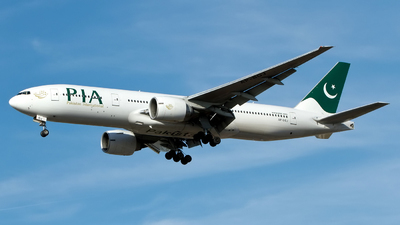 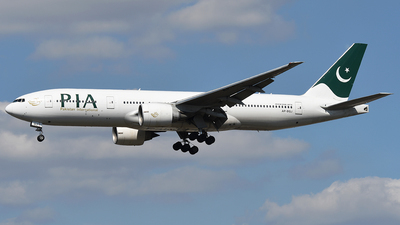 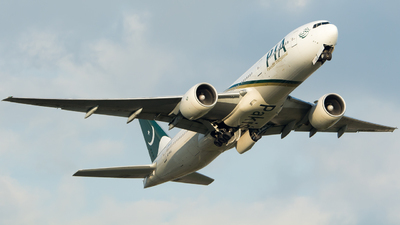 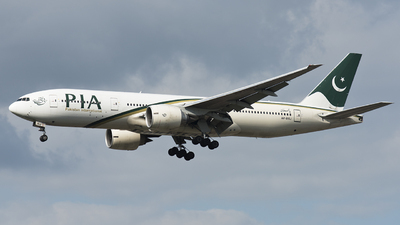 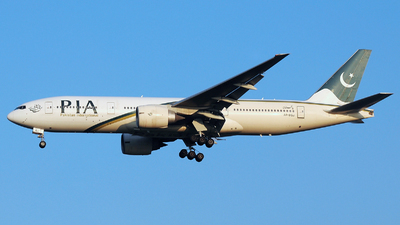 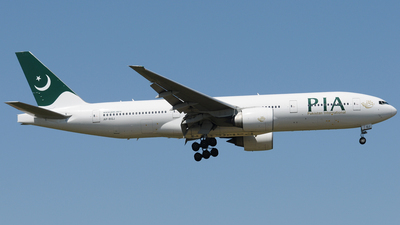 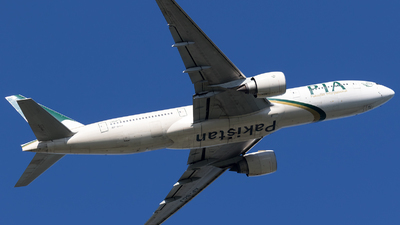 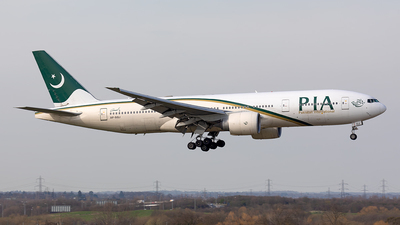 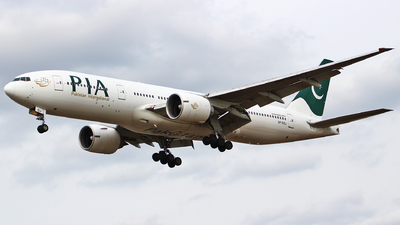 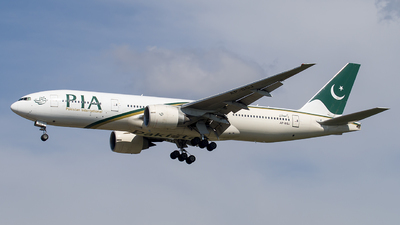 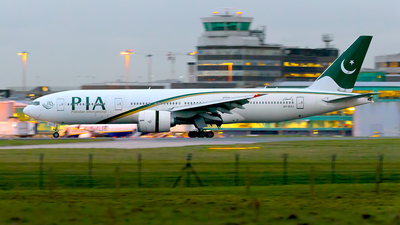 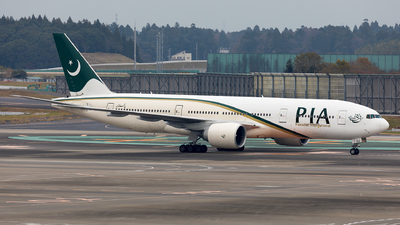 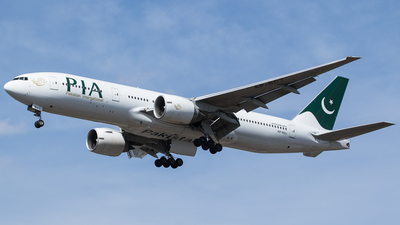 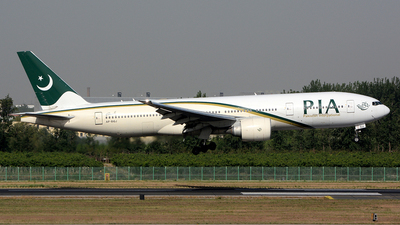 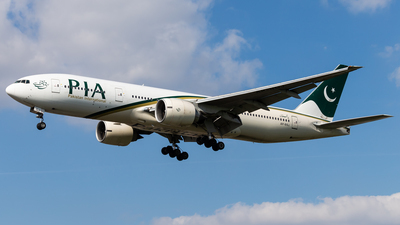 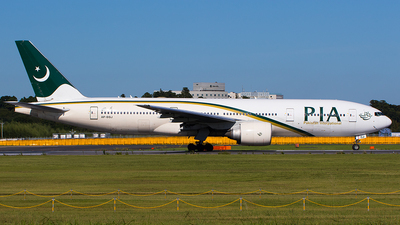 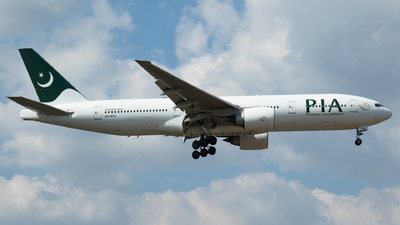 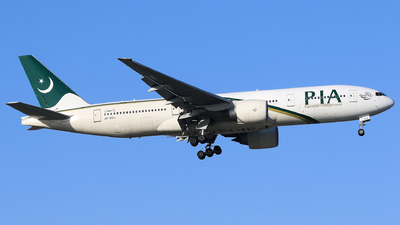 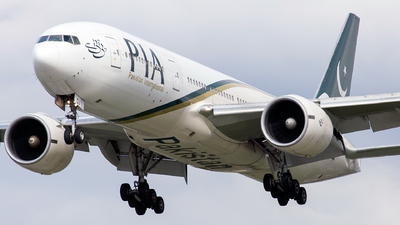 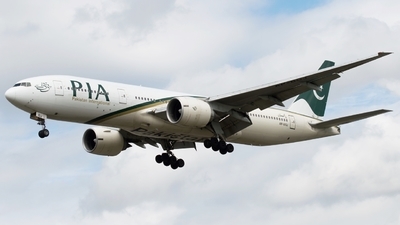 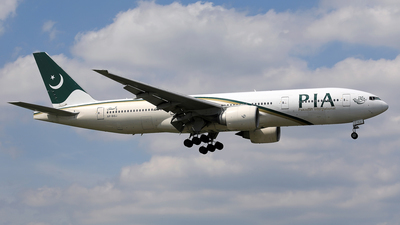 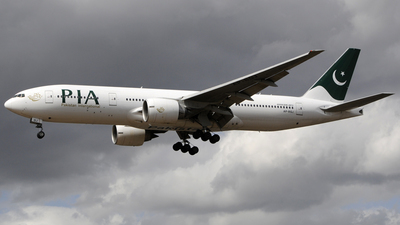 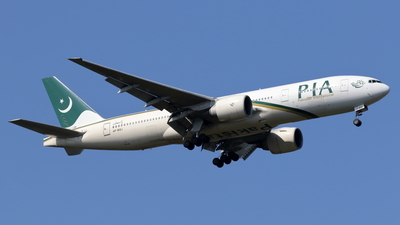 Note: 'Pakistan 785' from Islamabad, on final for RWY27L. 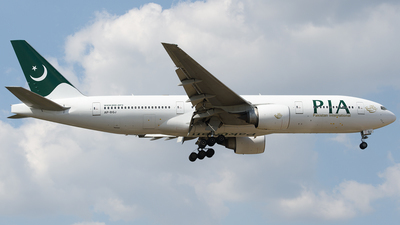 Note: Climbing out after departure from runway 27R.